Projecting evil onto others to advance one’s interests is an age-old strategy that is woven through the history of both politics and everyday life. But when deflecting blame becomes a collective mania, how to react? Do you speak the truth when all around you are lying? Or do you collude to save yourself? This dilemma lies at the heart of Arthur Miller’s classic drama The Crucible, which premiered in 1953 at a time of heightened political polarization as US senator Joseph McCarthy flung allegations of communism right and left. 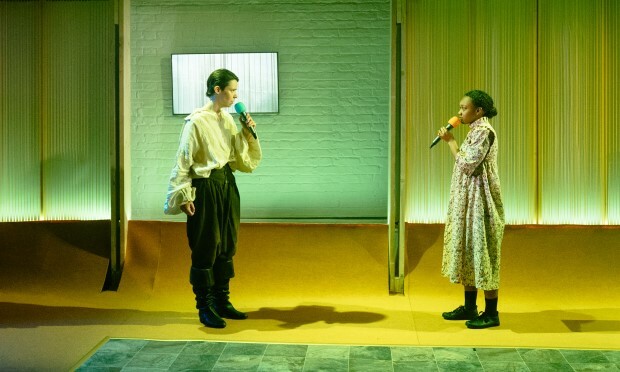 A riveting new production of the play at the Yard Theatre in Hackney Wick keeps the audience on the edge of their seats throughout the entire three-hour running time. The tale draws on the historical circumstances of the Salem Witch Trials of 1692 and 1693 in which over a dozen people lost their lives amid a collective frenzy of manipulation and fear. Farmer John Proctor and his wife Elizabeth find themselves caught up in a maelstrom of accusations and imagined witchery that envelop their village after a lapse of marital fidelity triggers a wave of spiteful lies. The real evil in colonial Massachusetts proves to be the evisceration of legal procedure by fundamentalist rulers who stoke rather than quell the shockwaves of distrust that spread through this austere Puritan community. In an atmosphere of heightened anxiety, deceit and falsehood are wrought into hangings. The dangers of othering consequent upon social and political division are no less relevant to modern-day Britain, caught up in its own web of conspiracy theory and antagonism. 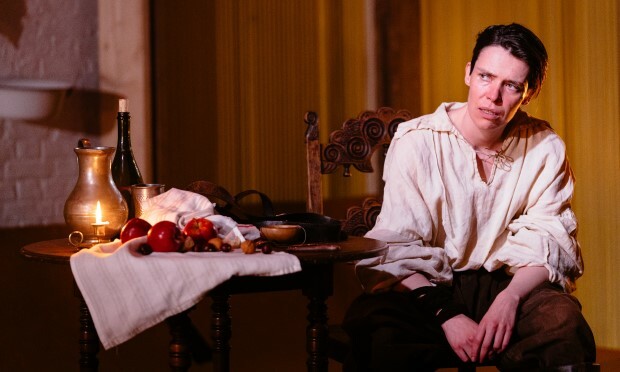 This deft production, directed by Jay Miller, benefits from especially strong performances by Caoilfhionn Dunne as John Proctor, Emma D’Arcy as Elizabeth Proctor and Jacob James Beswick as Deputy Governor Danforth. Gender fluidity offers a subtle alternative to the good versus evil binary that is the root cause of tragedy in the tale. Imaginative staging, with nice use of sound and lighting, invites us to ponder modern parallels. For a country divided against itself, The Crucible is a sobering reminder of the ease with which people can allow themselves to be deceived. The Crucible is on until 11 May at the Yard Theatre, Unit 2A, Queens Yard White Post Lane, E9 5EN.